What is the gesture for good luck in german? To keep one’s fingers crossed means „I wish you luck“ – but not in Germany! 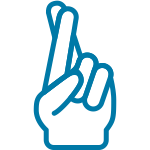 In a lot of countries the gesture of crossed fingers means „I wish you luck“. 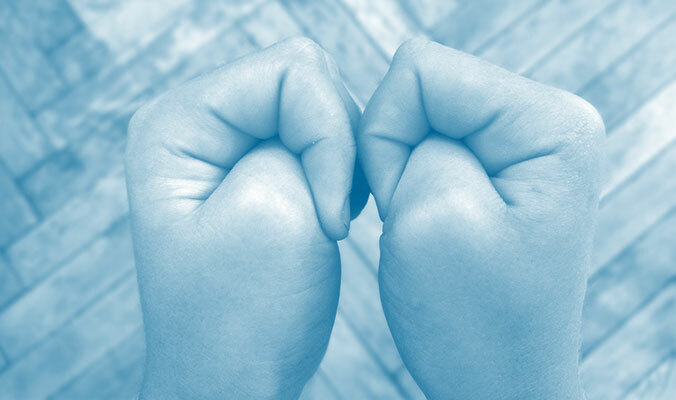 In Germany if you cross your fingers (most of the time behind your back) it reverses a promise, vow or oath. Mostly used by children, though. Yes Mommy I swear I’ve finished my homework. (Fingers crossed behind the back). Can I go play soccer with my friends now? Sometimes also done in (funny) movies by grown ups to make sure everybody gets that that person is lying. So… is there no sign to wish somebody luck in Germany? Of course we have a sign, too. In Germany we press out thumbs. Yes! That might sound funny, but that is what we do to wish someone Good Luck (Viel Glück!). 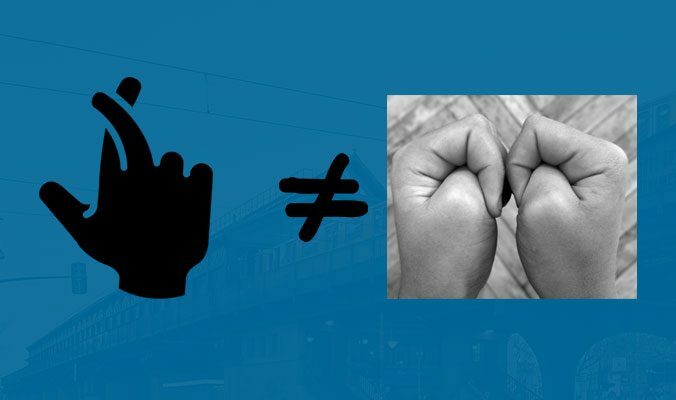 This sign or gesture of pressing the thumbs is not only used in Germany, though. In Austria (Österreich), in the Netherlands (in den Niederlanden), in Switzerland (in der Schweiz), in Sweden (in Schweden), in Estonia, (Estland), in the Czech Republic (Tschechischen Republik), in Slovakia (in der Slowakei), South Africa, (Südafrika) and in Russia (Russland) it has the same meaning. The origin of the gesture can be traced back to the Gladiator games in ancient Rome. When a fighter lost, the audience used that gesture to call for the Emperor’s grace not to kill that person. It can also be found in the middle ages to scare off witches and demons. And that is probably why we do it today: we also use it if something „threatening happens“…. an exam, a job interview. In the end it means: Viel Glück! (I wish you luck!) Viel Glück auf Deutsch! Ich drücke dir die Daumen für dein Deutsch Lernen! Cookies & Analytics help me run this offer. Are you OK with that? All cookies including tracking and analytics code like Google and Facebook. No cookies are set - except for those necessary for technical reasons. Borlabs Cookie already set a necessary cookie.